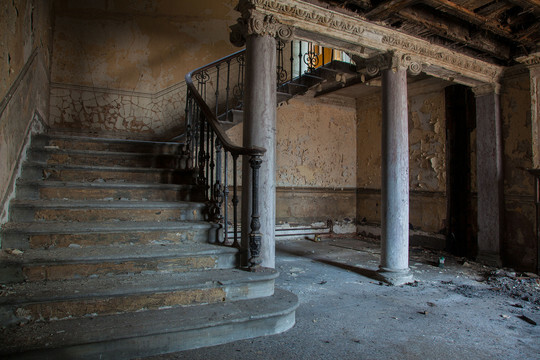 What would we do without intrepid photographers infiltrating abandoned buildings? Probably have to go infiltrating more of them ourselves, of course. 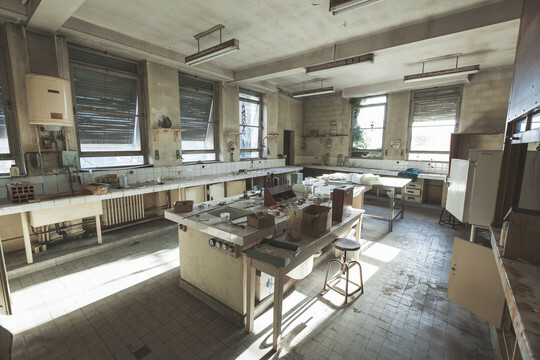 Abandoned biological research laboratories - full set - a M. Anatole Lb has many many other sets on Flickr. Wow. Sheffield Town Hall and Courts - full set - while a Mr. M D Allen has more Midlands-oriented rust, demolition and dereliction in yet more sets on Flickr. W Steel Corporation - full set - randompkguy Esq. brings us some more American corrosion in a wide range of sets. He was already mentioned in the very first Sunday Things, no less. What is a Fluxion and should it Klax like that? OSSITY #4 - KLAXING FLUXION - MY BRAIN IS ALSO MELTING. Did you ever go to the Magna museum in Sheffield? 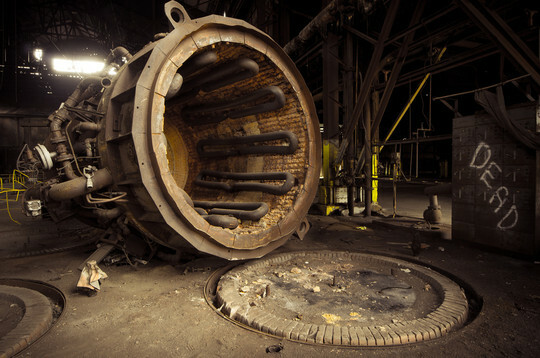 It's all built inside some massive old steel smelting sheds. The museum takes up about 10% of this massive, empty, rusty space. It's an incredible place. Haven't, no - but it's now added to my Giant List Of Places To Visit. Thanks! THIS PLACE IS A MESSAGE - AND PART OF A SYSTEM OF MESSAGES. PAY ATTENTION TO IT. THE DANGER IS STILL PRESENT - IN YOUR TIME - AS IT WAS IN OURS.